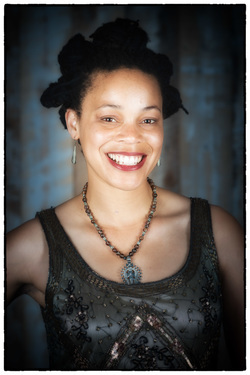 Cherie Hill aka IrieDance is a choreographer, dancer, teacher and scholar, whose art explores human expression and how it is conveyed through the body in collaboration with nature, music and visual imagery. Her IrieDance works have been showcased at the Live Oak Theatre, Shotwell Studios, the African American Cultural Center, the Black Choreographer’s Festival, Anschultz Theatre, Bao Bao Festival, P.L.A.C.E Performance, the San Francisco Cathedral, Omni Oakland Commons, SF Moving Arts Festival, Kinetech Arts, Alena Museum, SAFEhouse Arts, and the Dance A World of Hope Festival in Holland, MI. ​A lover of dance research, Cherie has published essays in Gender Forum, The Sacred Dance Journal, and In Dance, is the creator of the Sacred Dance Guild’s blog, "Sacred Dance Trends", and has presented at multiple conferences including the International Conference on Arts and Humanities, the Black Dance Conference, and the National Dance Education Organization Conference. She is currently Dance Teaching Artist, Communications Manager, and Chief of Staff at Luna Dance Institute, and a formee research assistant for hip-hop dance legend Rennie Harris. She holds a BA in Dance and Performance Studies from UC Berkeley where she was a McNair and Haas Scholar and recipient of the Eisner Award for Dance, a MFA in Dance from the University of CO Boulder, and graduate certificates in Somatics and Women and Gender Studies. Emmeline Gonzalez-Beban is a dance artist based in Berkeley, CA. She discovered her love for dance at the age of four when she began studying Ballet Folklórico Mexicano from Maestra Elena Robles in San Jose, and has since gone on to study a diverse range of dance forms. In May of 2014, she received a B.F.A. in Dance from The Ohio State University, and subsequently returned to the Bay Area to immerse herself in the dance scene as a performer, creator, and teacher. Emmeline was a 2015 Artist-In-Residence at Shawl-Anderson Dance Center for her collaborative project Mudanza Discorde, which creates experimental dance works fusing Ballet Folklórico with Contemporary/Modern Dance. She is currently the Artistic Director of Slick Babble Dance Project, a contemporary dance company based in the San Francisco Bay Area. Andreina Maldonado is a multidisciplinary dancer, musician, community organizer, and anthropologist from Maracay, Venezuela. Her vision and mission is to empower communities through art, using dance and music as a radical motivation for social change and justice. 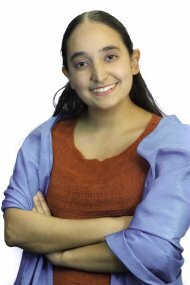 Andreina loves to garden, read poetry, hang out with friends, play music, contemplate and share food. She is a senior apprentice of master drummer & dancer Dr. Djo Bi from Cote D'ivoire, a member of Duniya Dance and Drum Ensemble, and lead in her band, The Native Union. Hope McManus is a dancer, sculptor, designer and educator dedicated to social justice through artistic expression. She studied Afro-brazilian dance forms, including the Silvestre Technique in Salvador da Bahia, Brazil. She has also studied Afro-Cuban and Haitian folkloric dance, and spent 3 years dancing in an east coast company, New Works: World Traditions, dancing traditional movement from Mali, West Africa and contemporary work inspired by the traditions. When she is not working, you will find her dancing, either in a studio, on a stage or in her kitchen. 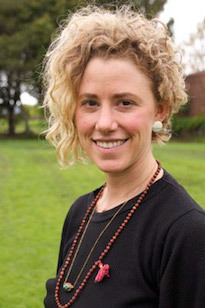 ​Rose Rothfeder is an enthusiast of life, wholesome food, the natural world, yoga, music, and DANCE. She works with an urban youth enrichment program and strives to bring music, movement, passion, and expression to education settings. She is grateful to her many teachers, family, and friends who have supported her along the way. She rejoices in the opportunity to move, breath, and feel in this body, and has found much joy and growth in this process of collaboration and exploration with these talented dancers.